Darth Vader and R2-D2 keep drinks cold. Star Wars Foam Koozies insulate your beverage and let friends and family know you’re a fan of the greatest space fantasy franchise of all time. 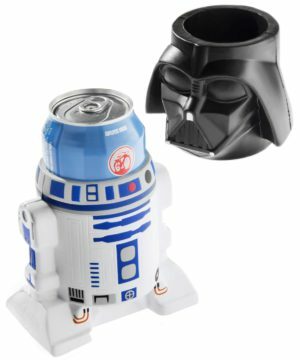 Roll with R2-D2 when keeping your cold ones cold, or choose the dark side and let Lord Vader put a choke hold on your can or bottle. The officially licensed koozies are made from a dense, durable foam that’s sure to keep your drink colder than space itself. “Luke” is good when it comes to Skywalkers, but not so much when it comes to drink warmth. 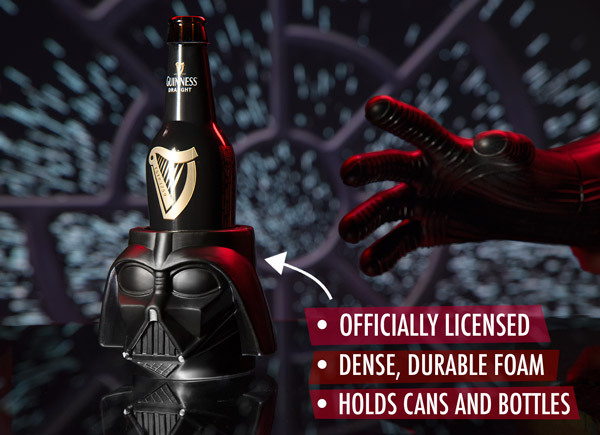 That’s where these Star Wars themed koozies come in. They look like cool characters from the beloved sci-fi franchise and they keep your drink cooler than Hoth. 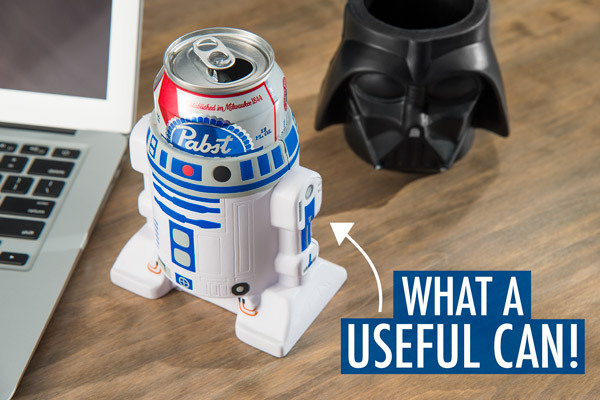 Ideal for bottles, cans, or blue milk. 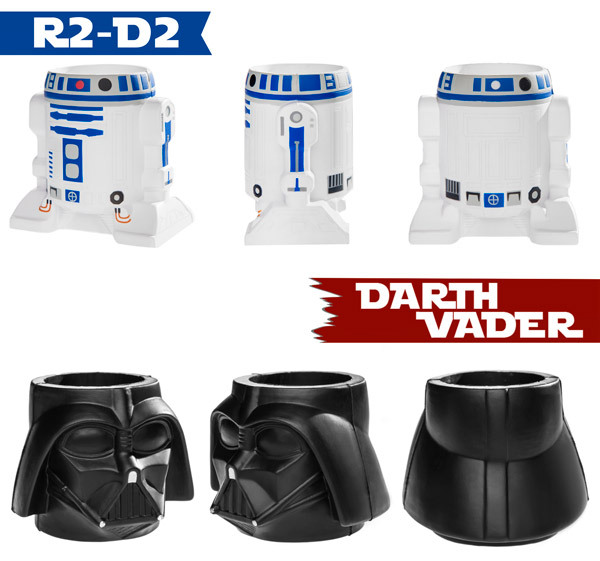 Whether you choose to ally yourself with the mischievous astromech R2-D2 or the powerful Sith Lord Darth Vader, you’ll get your hands on officially licensed merchandise styled after some of the most iconic characters in movie history. Not only do they look great, but they work great too, thanks to the durable high-density foam material. These koozies impressively feature detailed depictions of Star Wars characters that are not just painted on the front but representative all the way around. In fact, each koozie’s outside form is uniquely shaped to that specific character. Touch the lines on Darth Vader’s visor or feel the feet on R2-D2. If you only knew the power of the back side...and the front side. Question: What if I spill something on the foam? Answer: Star Wars Foam Koozies are designed to be around liquids, so a little wetness won’t hurt them. Just wipe it off and keep enjoying your drink. Question: Can these imbue me with the power of the Force, that magical power holding together good and evil, the dark side and the light? Answer: Nope, afraid not. But they look good and they keep your drink cold!